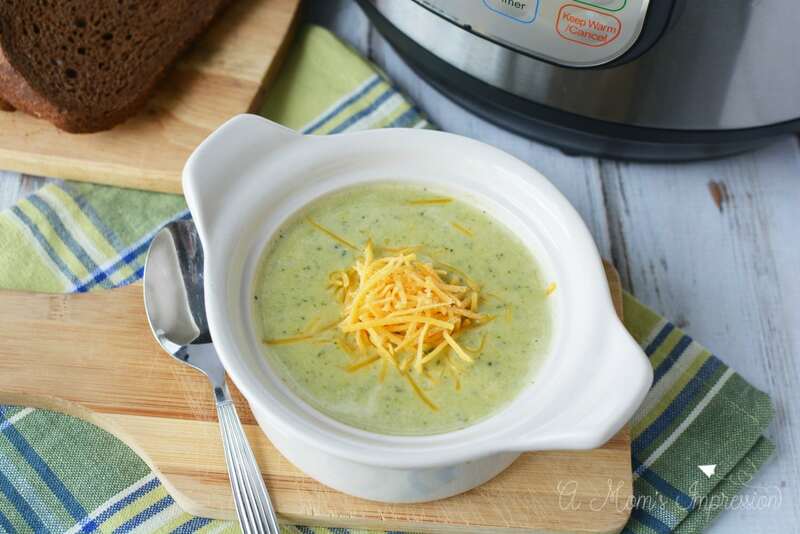 This Instant Pot Broccoli Cheese Soup is an easy recipe to make that is full of flavor and healthier than the original version. 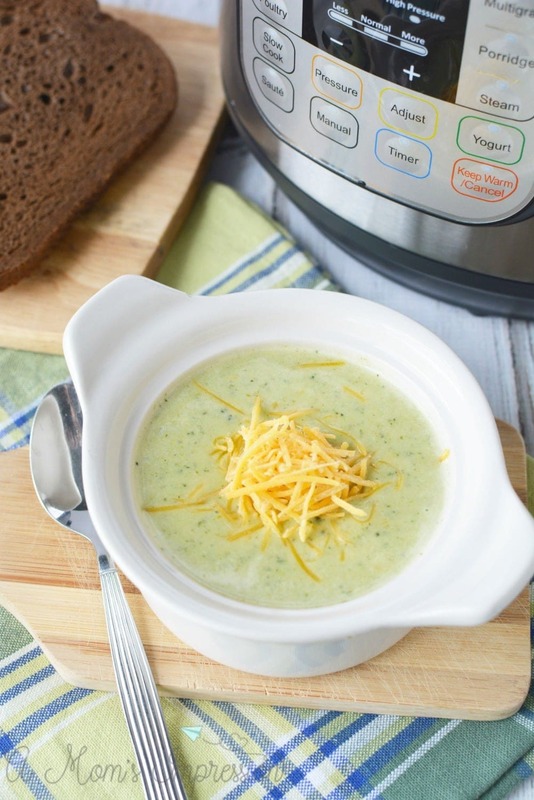 Using your pressure cooker, this broccoli cheddar soup in on the table in minutes. 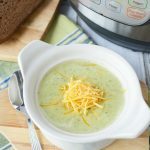 My pressure cooker has made some delicious things over the years, and I’m not exaggerating when I say this Instant Pot Broccoli Cheese Soup might be one of my favorites, it is amazing! I fell in love with broccoli cheese soup when I was a little girl. I would always request it whenever I felt under the weather or if I just needed a little comfort food. In fact, this my Instant Pot Chili, and my Instant Pot Chicken Gnocchi soup are the recipes that bring up the best memories of my childhood for me. I am very picky when it comes to broccoli cheddar cheese soup so it took a few tries to get this soup just right. This pressure cooker version is quick and easy and can be made in under 20 minutes. I don’t use a thickener so it is a little bit healthier for you than some of the more popular versions. But trust me, you won’t miss those calories. 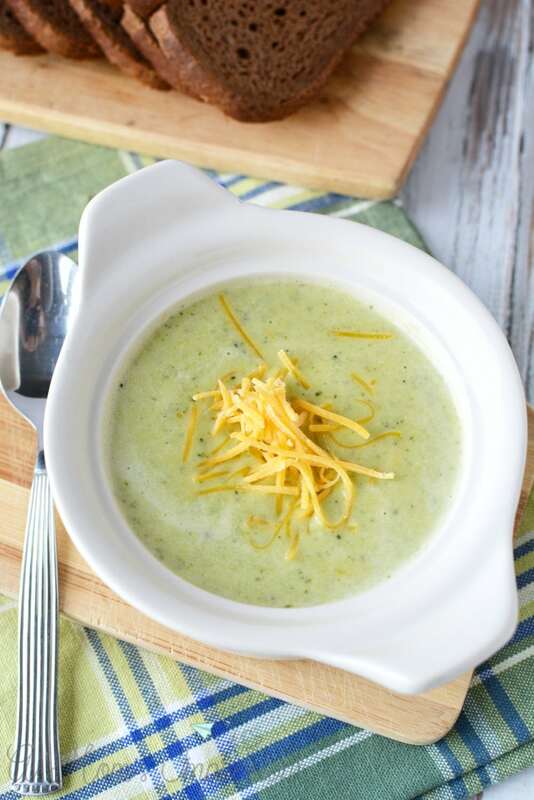 This Instant Pot Broccoli Cheese Soup is Keto friendly. I omitted it, but you can also add a tablespoon of cream cheese to thicken the soup as well. Another option for Keto is to switch out the half and half and substitute heavy whipping cream. 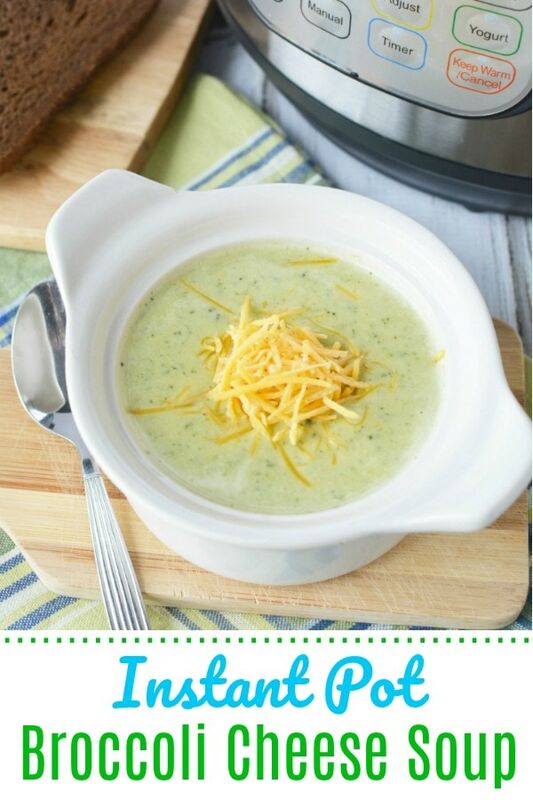 The kids are really going to like this broccoli cheddar cheese soup recipe so be sure to make a lot for leftovers! Making soup in our pressure cooker is one of my favorite things to do. The Instant Pot makes everything taste like it has been slow cooking for hours, yet it takes just minutes. We love recreating our restaurant favorites like our Olive Garden Copycat Zuppa Toscana soup. As well as creating fun new soups to try like our Instant Pot Irish Colcannon soup. Whatever cuisine you are feeling like, the pressure cooker can make it taste even better in a fraction of the time. 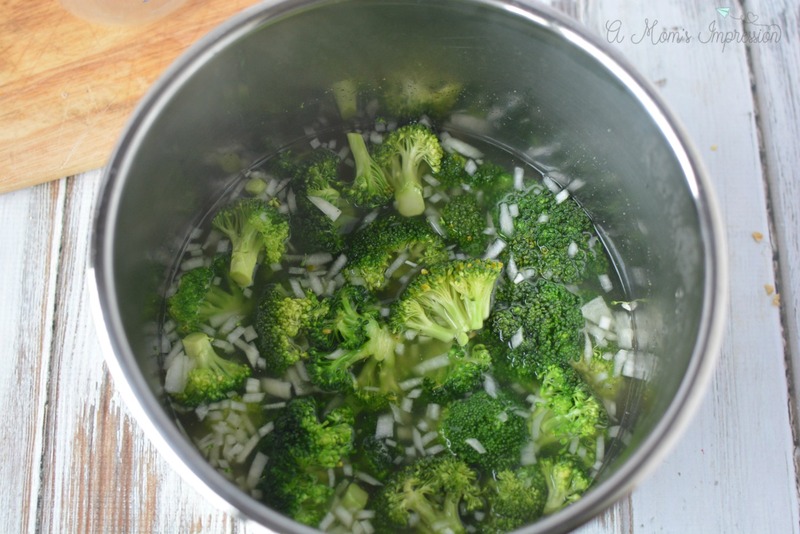 Place onions, broccoli, broth and spices into the instant pot. Place the lid on the pot and seal shut. Close the pressure release valve. Set the instant pot to manual, high pressure for 5 minutes. When the cooking cycle is complete, quick release pressure. Open the pot and stir in cheese until melted. Stir in milk. Use an immersion blender to smooth the soup. Serve with additional cheese if desired. 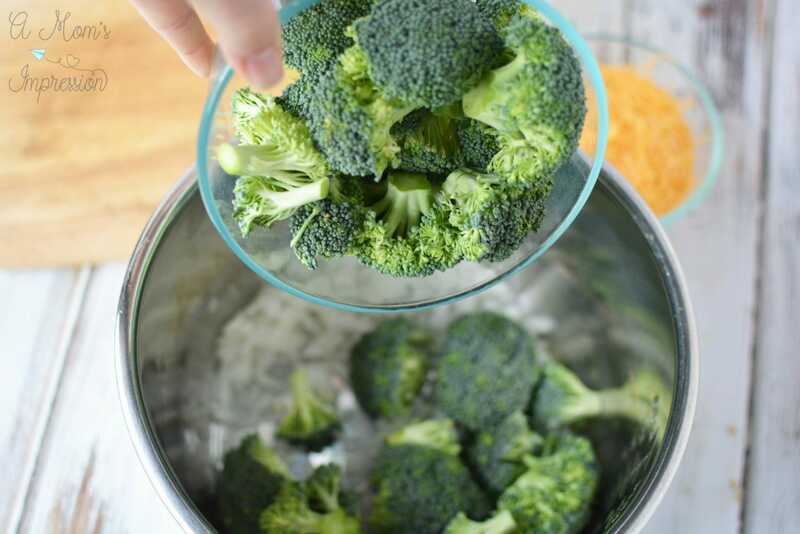 Place onions, broccoli, broth and spices into the instant pot. Place the lid on the pot and seal shut. Close the pressure release valve. Set the instant pot to manual, high pressure for 5 minutes. When cooking cycle is complete, quick release pressure. Open the pot and stir in cheese until melted. Stir in milk. 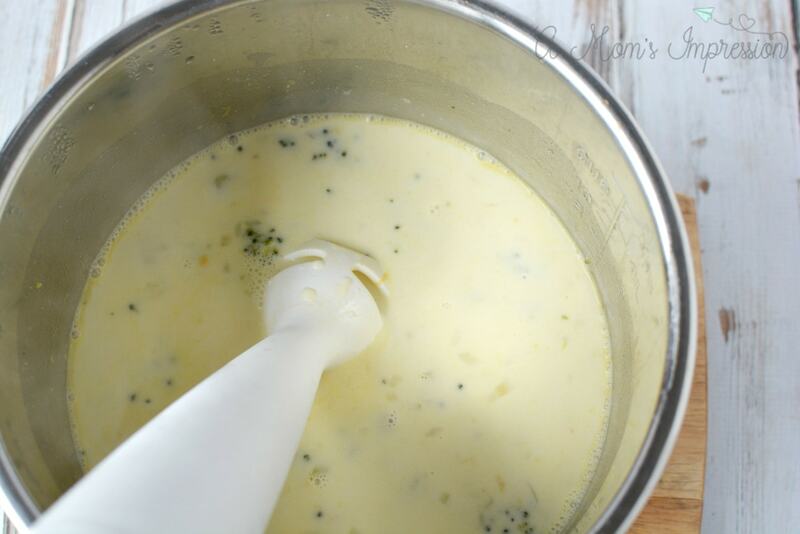 Use an immersion blender to smooth the soup. Serve with additional cheese if desired. *Note cooking time doesn't include the time it takes for your pressure cooker to come to pressure. « Is it Time to Clean Your Air Vents?